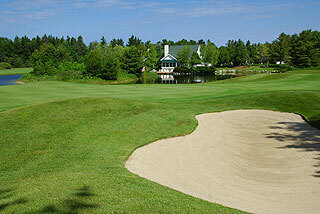 Charlevoix Country Club (now part of A-Ga-Ming Resort) is a four star (Golf Digest Places to Play) Jerry Matthews design that affords golfers with an opportunity to play a public course that boasts private club conditioning and service. 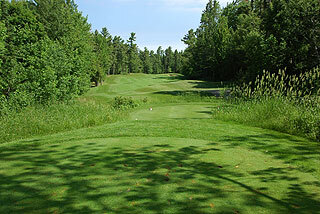 Water dominates the landscape here, as many holes weave their way across and around significant lakes, ponds and natural areas. There are a just a couple forced carries however, as these hazards mostly lie on the perimeter, helping to define the beautifully manicured bent grass fairways. The clubhouse is upscale all the way, and features a pro shop plus nicely appointed restaurant and lounge that serves Sunday Brunch as well as lunch and dinner 7 days a week. Members have considerable other benefits including a private lounge and locker rooms. 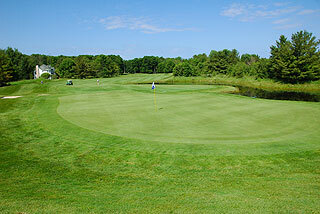 A grass range is on property, and a large practice green is situated near the clubhouse. The course is well marked, with 150 yard stakes doubling as directional devices, sprinkler heads measured to the center of the green, and 100, 150 and 200 yard blocks posted in the fairways. 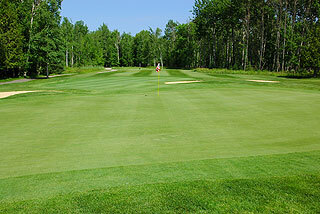 Golfers will encounter large, undulating putting surfaces that are frequently guarded by mounds and bunkering. The terrain is mostly level and the layout provides a nice mix of open and tree lined holes - most with ample landing areas. The atmosphere is serene, with sparse residential development, all of which is quite removed from the line of play. 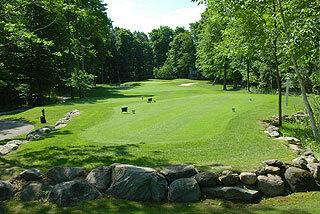 The landscaping from tee to green is conducive to an upscale golfing environment. The players we chatted with along the course - many of them first time visitors, had nothing but positives to say about the experience. 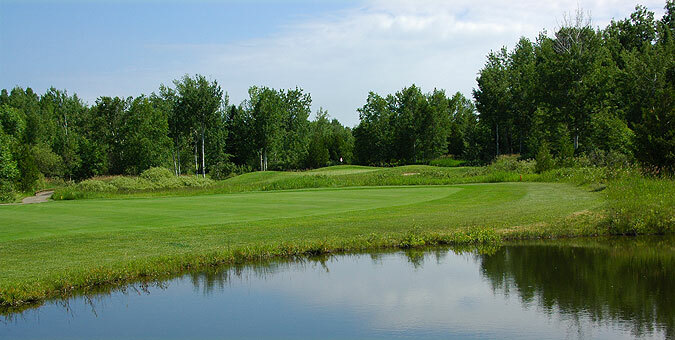 Four sets of tees provide golfers with opportunities to play from yardages and slopes measuring 6520 yards/135 slope, 6071 yards/126 slope, 5700 yards/116 slope and 5084 yards with a slope of 125 from the forward tees. 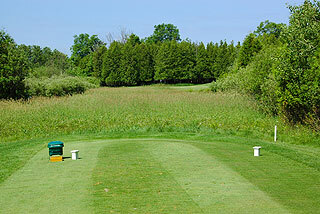 We found the course to be very playable - choose the right tees for your handicap and a good score is possible. The trick will be to avoid the many ponds and lakes. On the back side marsh lands are also more in play, with the long par three 17th providing the longest carry of the round. 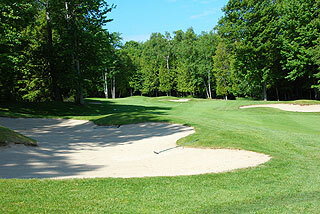 Charlevoix Country Club is easy to get to - located right off Highway 31 just 2 miles north of Charlevoix. 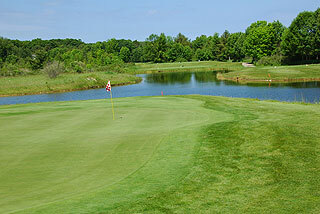 This is a beautiful area and the course and property are a good match. The rates are quite reasonable for the quality and location. For more info, visit our page for the course, with direct link to their website by clicking here.